Nestled in the woods north of Mora, MN, on the shore of spring-fed Lake Full of Fish, is World Famous Camperville – a family campground unlike any other. Featuring 150 extra-large, wooded sites on 80 acres, Camperville offers seasonal memberships with electricity, 365-day security, onsite caretaker, Rec building, store, laundry, game room, heated pool, sandy beach, boat dock/ramp, playground and more! 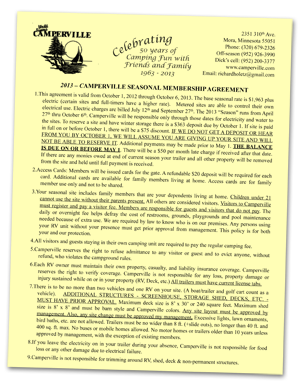 Camperville is a seasonal campground offering exclusive memberships. Have a look at the details from our Membership Agreement. Do you want to be a 2019 Seasonal? Call me at 952-200-3377 for more information. Camperville is conveniently located in God's country - just a few miles north of Mora off Hwy. 65. 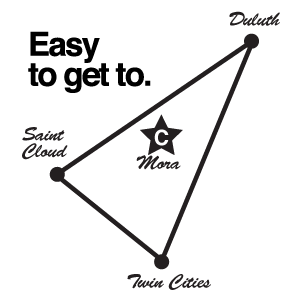 Click here to find directions.